Gambling With Pascal–A Solid Bet or a Fool’s Wager? Today I came across yet another abuse of Pascal’s Wager. Sometimes it seems like no one knows how PASCAL used his own wager! Here’s how NOT to use Pascal’s wager. Now lets set all these arguments aside and think for a minute . . .
Fortunately, the scenario given above is not Pascal’s wager, though it does come close. Everything after the first line is about right. Pascal’s “Natural Theology” includes the Wager after considerable argumentation and debate about evidences for God’s existence. He presumed to carry his own respective burden of a proof, offered evidences in favor of God’s existence, addressed arguments against God. And then returned to the Wager to cover all his bases. Namely, he showed how reasonable people can still make a decision whenever they face a cognitive crossroads, an inconclusive truth. Even still, to some people the wager I gave above sounds reasonable enough right? Wrong. If it were 99.9999% likely that God does not exist, an almost certain gain of one mortal life (the atheist bet) can be a better bet than that 1% chance of Immortal life (the Theist bet). The same works in the negative. A 0.0001% chance of hell might be, for all our judgment abilities, a safer risk than a 99.9999% chance of a wasted earthly life. Put in more humble terms, I can have one cupcake now–with 99.9999% likelihood. Or if I devote myself to good dieting, self-control, exercise, humility, and integrity, all by faith in the name of Jerry, then there is a 0.0001% chance I might get to inherit Jerry’s Cupcake factory at the end of my life. It will be in my family’s name for future generations. Frankly, if those were my options then just give me my cupcake. To properly employ Pascal’s wager, the precondition for the wager is that the evidence is roughly equal on both sides–for and against God’s existence. If the evidence were 50/50, Pascal’s wager justify’s theism in the face of agnosticism or atheism given a cursory cost/benefits analysis. And it also works if the evidence heavily favors theism but is still inconclusive, say, it’s 90% likely that theism is true but that blasted Problem of Evil just won’t settle down and submit. Anytime people use Pascal’s wager when they have not shown strong evidence either way–that is not really Pascal’s wager but a bastardization of it to exempt people of their respective burden of proof, or short-cut through the duty of clear and reasonable thinking. That’s intellectually dishonest and an embarrassment to Pascal. In term’s of Casino or Card games, Pascal’s wager is like “Evens/Odds”–if the card is Odd you win, no-God exists; if they’re Even then I win–God exists. Because our knowledge is partial and the evidence is incomplete we can come to crossroads where both routes look equally tempting to our reasoned judgments. Supposing that both possibilities are equally live: God exist/Evens or No God Exists/Odds–we might still have to make a choice as to whether we’ll believe in God or not. If we refrain from belief, we’re still non-believers ans so we’ve made a choice. In that case, Evens/God exists makes the most sense. Just speaking pragmatically that option is solid. It might be objected that we can’t just “choose” to believe what we don’t think is true. Correct, we can’t. But if we are truly reasonable people and we are trying to follow the evidence, then we do come crossroads where the “truth” is inconclusive, we don’t know. In those cases I know from experience that we can give a friend the benefit of the doubt, we can suppose that X is true, or we can have “faith” that Z is right. But the trick is, we are rarely that reasoned and rational. To even be able to choose what to believe in a 50/50 probability case, we have to be willing to be wrong, we have to have the courage of conviction, and we have to be intellectually honest with ourselves about the REAL reasons for our belief or disbelief. Unfortunately, you are technically wrong: The gain of an immortal life could be considered an infinite gain, so even with a minimal chance (but not infinitely small) the potential gain would be infinite, while the gain of the mortal life would be finite. Doesn’t mean that Pascal’s Wager is valid (as, for example, it ignores the possibility of other gods or that your religion is the wrong one). If you are going to disagree with my reading of Pascal then please show me how I misrepresented Pascal. If you disagree with me that about how the wager works given a 50/50 chance that the Christian God, then the appeal to other gods is irrelevant, since I and Pascal are talking about a 50/50 shot that the Christian God is real. As for your quantification, I see where you are coming from. But didn’t you just argue that Pascal could apply his wager to low-probability cases, so long as the pay-off is really big or infinite? If that’s the case then aren’t you arguing FOR theism? I’m sure Pascal and I could apply it that way, but I’m willing to grant that we are not epistemically obligated to believe what seems to be false, at least, if we have to base that belief on the payoffs. 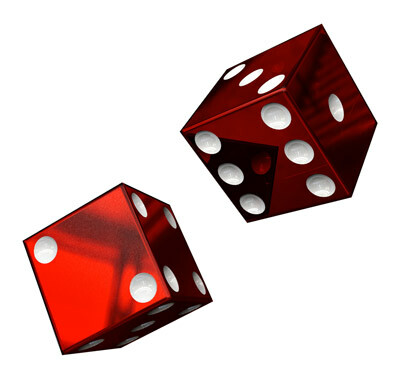 But if we have roughly equal probabilities for something, then the deciding factor–in a live and obligatory decision–can be other non-evidential factors such as payoffs. Back to the part about other gods, I think that note helps my case. If Jews or the Baha’is are right, that increases the chances of getting out of hell and getting into some sort of heaven. If polytheism is right, then there’s still a good chance that we keep living after this mortal life is over, and since Polytheistic faiths such as Mormonism or Hinduism are pretty inclusive and often quite tolerant, their theology usually dictates that we get more chances to do better the next time around, or we end up in not-hell but not the highest heaven/moksha sort of after life. This is wrong. An immortal life could be considered an infinite gain, thus making the expectancy value 0.0001 * Infinity which still would be Infinity. The mortal life, on the other hand, would be a definitely finite gain, thus always being smaller than infinity. So, the statement above is simply wrong and not a good tactic to attack pascal’s wager. And no, just because your counter-argument is wrong does not mean that pascal’s wager is correct. It just fails because of other reasons than the one you tried to use. Mutant, you’re making a classic metaphysical mistake. You’re blurring two kinds of things as if their statistical value is commiserate. Something may be infinitely valuable but only if it exists. Meanwhile, the probability of its existing is a whole different issue, it’s a judgment call somewhere in the realm of epistemology. If something is 99.9999% likely to be false, then I should not judge it true, correct? Mythical payoffs might have a remote chance of being true, but since they are not likely true, then I don’t have great reason to believe it true. I have great reason to WISH it were true, but not to believe it true. Now if I have great reason to think it true, but not enough yet to believe assuredly that it’s true, then I might rightfully appeal to other factors that lend credibility (i.e., believability) but aren’t strictly verifying factors. Such credibility factors don’t make a thing true but they are generally helpful in suggesting it’s worthy of belief. These are considerations that would be fallacious if treated like truth-makers but they can be valid if treated as credibility-lenders such as appeals to authority, appeals to popularity, appeals to emotion, etc. This is how we normally interact with all sorts of everyday decisions such as when to trust a stranger, deciding which party to go to, selecting bread at the grocery store, etc. Perhaps I can clear it up with some added emphasis to a prior statement: “we are not EPISTEMICALLY obligated to believe what seems to be false, at least, if we have to base that belief on the [METAPHYSICAL] payoffs.” If it is highly probable that an idea is false, then the payoffs for that remote possibility (say, 0.0001% chance) don’t really matter, since the possibility of accessing a infinitely valuable payoff is still only 0.0001% It is only when the epistemic case is approaching relatively high or even probability (50%) that we can safely step away from pure epistemic judgments and start incorporating other factors such as whether I like the idea, whether it has lots of authoritative support, whether it generates a lot of rewards, whether its beautiful or simple, etc. BTW, I’m not attacking Pascal’s wager, I’m explaining how it works. Typically, theists misuse it, atheists attack the misuse of it. And the REAL Pascal’s wager never enters the discussion. I honestly do not understand your point here, john. I thought the whole point of the wager was precisely as mutant expresses. No matter how remote a possibility heaven may be, the infinite nature of the benefit must certainly outweigh any finite benefit on the other side. No amount of positive results makes a thing true, or more likely true. Are you proposing that usefulness of an idea constitutes a hard/concrete sort of evidence that it’s true? Most logicians, philosophers, and any good skeptic is likely to disagree with you. Usefulness is a good falsifier, but not a good verifier. Let me illustrate again. Suppose I said I can have a perfect golf game–18 holes in 18 strokes–I might be correct, but more likely I’m not. We know of no one who can do that besides maybe a rigged golf course or a minigolf champion. Now, let us suppose further that that belief helps me to be a better golfer, and I start winning championships, in part, because I believe that claim (about a perfect golf game) to be true. When I shoot 70’s and 80’s in my average game, I attribute it to bad luck, the sun in my eyes, or having an “off day” but I still believe that its within my natural and normal ability to shoot a perfect game. But on my good days I’m hitting in the high 50’s and low 60’s, a good game. That belief is very useful to me, it helps my golf game, and the better I get at golf the closer I get to that illustrious prize of the perfect game. But has the usefulness of that belief made itself true? No, it has not. It’s quite likely impossible for a normally born human being to be that skilled with the golf club. To put this in Pascalian terms, the scenario is more like I hit 9 holes in one in a row, but then I took a phone call that was upsetting, I came back to the course a little disturbed and shot 2’s and 3’s on the remaining 9 holes. Out of an 18 hole course, that’s astonishing record-breaking play. Now suppose I still was making the claim that I can shoot a perfect game, and that very claim inspires me to be a better golfer, do I have reason to believe that I can have a perfect game? The belief itself is useful, but not sufficient to make the claim true. The evidence in front of you, my golfing competitor, is that I shot a perfect game for 9 holes but not for the other 9 holes. It’s probably not a 50/50 ratio given complicating factors about the field, weariness, weather, etc., but it’s close enough to get my point across. Usefulness does not make an idea true–since lies can be quite useful too. At best, it’s opposite, uselessness, exposes false ideas. Meanwhile, if I have two options available to me, and I have to pick one, and both are equally viable/likely/possible then we are smart to pick the one that seems the most beneficial. Lies can benefit us too, if a claim is equally likely to be true as it is false, then I might as well affirm the side that benefits me–especially if it’s vastly more beneficial (infinitely more) than the other option.